The Hall family have been manufacturing socks in Leicestershire since 1882. This longevity is borne through experience, enthusiasm, constant innovation and design creativity. Now, as part of the Pantherella International Group, this has allowed the company to become the largest branded sock manufacturer in the UK. The original goal for 'Honest' John Hall was to provide warm, long-lasting hosiery for the farming community in which he was brought up. The first socks he produced were pure Scottish wool, grey half-hose. These were recorded in 1892 as costing 2s 7d for 2 dozen pairs. The brainchild of Peter Hall 'Indestuctibles' were born in 1958. These have become renowned as truly resilient and durable. Indestructible™ socks are made from heavy duty nylon, they are unshrinkable and underwritten by a guarantee of wear. This guarantee has gradually been extended over the years and now stands at 12 months. In 1977 HJ Hall had totally outgrown its original home in Stoke Golding. It moved to a purpose built site that was a 66,000 sq ft hosiery factory at Coventry Road in Hinckley, with specific dye-house and effluent facilities. The additional space allowed each stage to be optimised. With expansion, the factory then grew to 85,000 sq ft and housed new facilities and modern equipment. Softop® socks were invented and patented in 1989 to minimise the problems caused by the tight elastic in other socks. Made of natural fibres they are still the market leader, having sold over 20 million pairs worldwide. 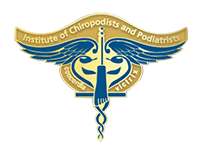 In 2011 Softop® socks became the only socks ever to be endorsed by the Institute of Chiropodists and Podiatrists. In 2001 the acquisition of Pantherella, producers of fine English socks for over 70 years, allowed us to become the leading UK branded sock manufacturer. We continued with our expansion in 2007 with the purchase of another British sock company, Scott Nichol, which continues to run under the Pantherella leadership. ProTrek™ socks were put to the ultimate test by team Polar Horizon in 2007 as they faced the toughest race in the world, “The Polar Race”. They travelled 350 miles across the arctic to the North Pole facing freezing conditions of -50°C and were the ONLY team not to get any blisters. The whole range covers all seasons from light walker to heavy terrain. HJ’s constant innovation and creativity has led to partnerships with two leading British celebrities, both known for their skills and expertise in their specific fields. Peter Jones from Dragons’ Den has proved so successful that the logical step was to join up with another celebrity for our technical ranges. Ben Fogle was the ideal candidate. The outdoor range carrying his name is proving to be highly commercial. With increasing awareness of medical conditions foot care has become a vital part of staying both healthy and fit. HJ’s experience had led to the development of socks for travel, socks that give you stamina and socks for specific ailments such as diabetes, swollen ankles and water retention.